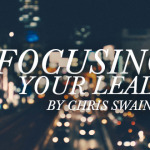 The following post was written by Chris Swain, Director of LifeWay Student Ministry Publishing. This is the first installment in a three-part series. “What do you really think the Bible really means when it says Jesus is the only way to heaven?” asked Jacob, a sixteen year-old high school guy sitting on the edge of a little twin-sized bed. It was late at night (actually well into the early morning), and I sat in the room crowded with several other high school guys. We had toilet-papered a couple of houses, eaten a ton of pizza, worshipped with a great band, and heard a compelling message from a really cool speaker. It had been a long day but we were wired thanks to Mountain Dew and the rare opportunity to be allowed to stay up so late. Jacob’s question was a little bit of a shock because we hadn’t really discussed anything spiritual since the worship service. Our host home leaders had long been asleep as was our D-Now leader, just a few years older than most of the guys in our group, in the next room. What followed was pretty awesome. We spent a couple of hours sharing our thoughts about Jesus, who He is, what He meant to us in our lives, and how we “really” felt about everything we learned at church. Eventually some of us grabbed a little sleep before the church service in the morning, but that conversation is something I will never forget. And it happened without any planning. It wasn’t part of the agenda. 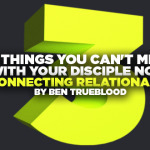 While our leaders certainly may have intended for us to connect with Christ during the weekend event, the real connection happened outside of the planned activities. When it comes to an event like Disciple Now it can be easy to miss so many details. 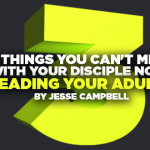 In this series we will take a look at the 3 things you can’t miss with your Disciple Now. The first is: you can’t miss Jesus. Prayer. Focus your host home leaders, worship team, speaker, parents, students, and group leaders on prayer. Pray before the event, pray during the event, and pray with parents who are dropping students off for the event. We typically planned to have a specific large group prayer time with parents before the event began to ensure they were engaged. Additionally, we asked parents to come to the student space all week prior to the Disciple Now and pray over the space and for the event. Prayer helps us focus on God. Ask Him for a heart to see students connect with Him and embrace what it means to be a disciple of Jesus. Prayer will help ensure you are making much of Jesus in your Disciple Now. Plan for student response. Whether or not you decide your Disciple Now will have an invitation or a set response time in the worship services, make sure you plan for students to be able to respond to what they are hearing and experiencing during the event. This can be an invitation but it should also be planned to take place in the homes with the group leaders. The best times for students to respond are always close to the worship experience, but they can also be later in the evening right before bedtime (if indeed there is one). Also be sure to include some next steps for students as they do respond. If a student responds to Christ they need a clear and simple way to move forward in their decision. 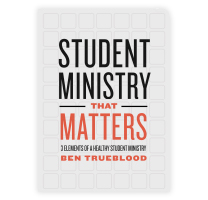 Whether they are told about baptism, encouraged to be a part of a Sunday school class or small group, or connected with another believer for the sake of accountability, be ready to help students know what to do next. Remember too that responses aren’t just going to be for salvation. Plan for those who want to: surrender to ministry, renew their passion to follow Jesus, confess and repent of sin, embrace being a spiritual leader in the group, volunteer to help with the ministry. 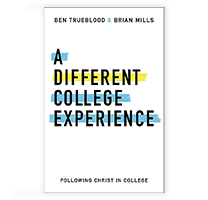 Connecting with Christ is the goal and knowing the next step in their journey will help students engage with Jesus in, during, and beyond the Disciple Now. Focus on Jesus. 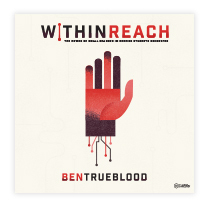 We are all looking for that legit new theme for our Disciple Now that will really connect with the worship team, the speaker, and the study you have for your students. You also want to address any issues your ministry may be facing during this time. But the reality is, your students need Jesus more than anything else. Whatever the theme, whomever the speaker, and however you decide to plan the event, make sure that Jesus is at the center. Make sure your theme is Christocentric. Make sure your worship team focuses on Jesus. Make sure your speaker is connecting the students, the theme, and the message to Christ. No matter how hard we try, it can be easy to overlook the most important detail at events like Disciple Now. While it is never our intention, it can be assumed or minimized if we aren’t careful. We all want to see students impacted and engaged with Jesus, especially at an event like Disciple Now. When your students gather, much like me and my group did years ago, you want them to have that Christ conversation – not as a random thought brought up on a whim – but as a result of seeking God through prayer, planning for response, and focusing on Jesus as the center of the event.